Editor’s Note: This is the third article in a four-part series about how hotel operators can leverage food and beverage to win loyal customers. You can access the full white paper from which this content was derived here. Use any social media platform, and you’ll see that food posts are taking center stage. Yelp clocks in with more than 100 million user searches for restaurants each month. Instagram has 260 million posts hashtagged #food—and many of TripAdvisor’s 500 million users look for food options when researching trips. With travelers going digital when it comes to discovery and booking, it’s more important than ever to engage with your audience online—putting your brand front and center. You want your guests to book room reservations directly and not through an OTA, so why should your restaurant booking experience be any different? Make it easy for your guests to book directly from your social media channels by linking straight to your restaurant’s reservation widget wherever possible. By using direct links, you’ll boost reservations by reaching guests the moment they spot your cacio e pepe in their feed, converting them from a viewer to a visitor. Bringing in a notable chef is great for your property, but not if no one knows about it. 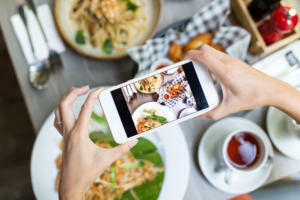 Leverage their influencer status through highly curated photography and videos that speak to the experience guests will have in your restaurant. Have your chef post short, engaging videos or share-worthy photos that you can repurpose on your own channels, or that can be shared by your guests. Most importantly, make sure all relevant stakeholders are tagged in the content: your property, the restaurant, your chef, etc. This will ensure that your content reaches the largest audience possible on your respective channels. How well do you know your followers? Use Instagram and Facebook’s built-in analytics to learn more about the demographics of your social followers. You can use these insights to inform future marketing efforts and events (e.g. 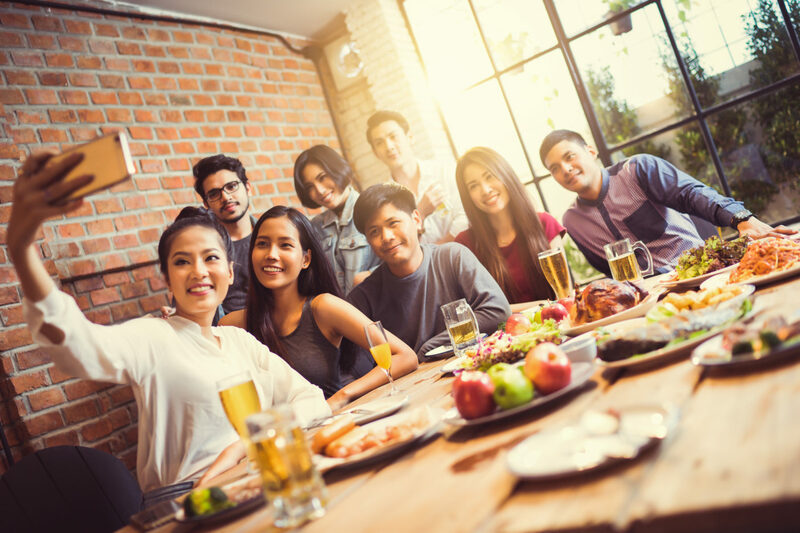 creating an after-work happy hour promotion for the 25-30-year-old followers working in your neighborhood), or compare that data against your most-frequent or highest-spending guests to really understand what they love about your F&B outlets. Use these lookalike audiences to expand your reach, and target new audiences with promotions you know are already wowing similar guests. The hotel groups that are winning today in F&B are not only offering stellar dining programs, they’re creating and promoting custom F&B offerings for specific audiences across their social platforms. Everyone wants to feel like a VIP, and by offering behind-the-scenes kitchen tours, exclusive cooking classes, or wine tastings with your sommelier, you can exceed your guests’ expectations—and keep them coming back for more. Use these learnings to tailor future offerings unique to each guest-based on their preferences, or create themes across your social channels. The bottom line is that F&B programs are more important than ever, and social media is just one of the many ways technology can help make or break your strategy. To learn more about how you can leverage your restaurants, pools, rooftops, and bars to win loyal customers, download SevenRooms’ F&B playbook, Harnessing the Power of F&B. In this free industry white paper, you’ll get data-based insights into the current hotel space as they relate to the F&B landscape, best practices for using technology to provide a world-class F&B experience. SevenRooms empowers hospitality operators to create and cultivate the meaningful, direct relationships with guests that make exceptional experiences possible. The company’s reservation, seating and guest management solutions boost revenue and enable personalized service and marketing. SevenRooms has restaurant, hotel and nightlife clients in more than 100 cities worldwide, including: Ethan Stowell Restaurants, Jumeirah Group, The Cosmopolitan of Las Vegas, Standard Hotels, LDV Hospitality, Live Nation, Zuma, TAO Group, Bagatelle, Altamarea Group, NoHo Hospitality Group, Chase Hospitality Group, Mercer Street Hospitality, Corbin and King and The h.wood Group. For more information www.sevenrooms.com or email [email protected].